At least three people narrowly avoided injury in recent days after “celebratory gunfire” struck an Azusa swimming pool where a father and daughter were swimming on Tuesday evening, then another struck a moving car in Pasadena on Wednesday afternoon, authorities said. 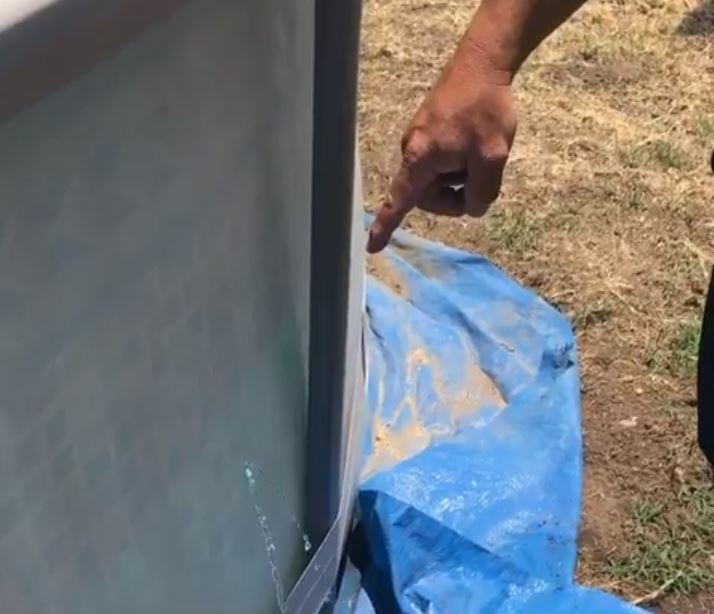 A bullet apparently fired in celebration struck an above-ground swimming pool in the 200 block of East Roland Street as a man and his daughter were swimming in it between 5 p.m. and 8 p.m. on Independence Day, according to Azusa police Officer Mike Bires. Neither the man nor the girl, who was approximately 8 years old, were hurt, he said. “This is why you do not shoot a firearm up into the sky during celebrations, like 4th of July or New Year’s Eve,” Bires said. “A father and his daughter were in the pool yesterday for 4th of July,” the officer said. “If the had bullet struck the child or the father, someone would have innocently been murdered on a holiday… Why? It’s not worth it. Just don’t do it. The homeowner did not realized what had happened until the next day, Bires said. The man was looking for the cause of a leak on Wednesday when he discovered the 9mm or .40-caliber bullet at the bottom of the pool. In another incident blamed on celebratory gunfire, a woman was “shaken up” but uninjured after her car was struck by a falling bullet fire up into the air in Pasadena on Wednesday afternoon, police said. The incident took place just after 5:45 p.m. as the woman was driving her Nissan Altima along the 800 block of Magnolia Street, Pasadena police Lt. Pete Hettema said. A 9mm bullet plummeted from the sky and struck the roof of the car, the lieutenant said. The driver thought they were being attacked, before officers ultimately pieced together what had taken place. The bullet dented the car’s roof and punched a small hole, but did not manage to penetrate through the body of the car, Hettema said. Police found the projectile sitting atop the car. There was no sign of where the gunshot originated, he said. Bullets fired skyward can easily travel more than a mile before falling back to earth. AZUSA >> Rescuers rushed a man to a trauma center after he was stabbed in Azusa late Friday, officials said. The stabbing was reported shortly before 7:30 p.m. at or near a convenience store at Citrus Avenue and Gladstone Street, Azusa police Cpl. Jason Kimes said. The victim, initially described as an Azusa man, then showed up at Foothill Presbyterian Hospital in Glendora, where doctors decided to have him flown by helicopter to Los Angeles County-USC Medical Center in Los Angeles for further treatment, he said. An update on the victim’s condition was not immediately available, nor were details regarding the circumstances of the stabbing, according to the corporal. Anyone with information can reach Azusa police at 626-812-3200. Tips may also be submitted anonymously to L.A. Regional Crime Stoppers at 800-222-8477. AZUSA >> Police jailed two Azusa men during an early-morning raids in connection with the baseball bat beating and stabbing attack outside a liquor store that left two men badly injured two weeks ago, authorities said. Police, including SWAT team members, carried out search warrants at four locations in Azusa, two of them on the same property, Azusa police Detective Seth Chapman said. Albert Ventura, 19, was booked on suspicion of attempted murder, felony vandalism and drug sales, the detective said. Eduardo Montesdeoca, 21, was booked on suspicion of attempted murder, according to Azusa police officials and Los Angeles County booking records. Both suspects were taken into custody without a struggle, according to Chapman. Investigators continued seeking additional outstanding suspects. The arrests stem from an attack that took place just after 5:30 p.m. on May 22 in the parking lot of Benny’s Market & Liquor, 208 N. Azusa Ave.. The victims, a man in his 20s and a man in his 40s, were accosted by a group of men, the detective said. After a brief exchange of words, the attacker struck both victims in the head with a baseball bat. Chapman said the attackers then proceeded to stab the younger victim before fleeing. Ventura is also accused of smashing up a car belonging to one of the victims with the baseball bat, resulting in the vandalism charge. The older victim has since been released from the hospital, but was believed to have suffered permanent injuries as a result of the attack, Chapman said. The younger victim was expected to make a full recovery. The motive was unclear, Chapman said. There was no indication that any argument or disagreement immediately preceded the violence. It was unclear if the suspects were familiar with the men they allegedly attacked prior to the violent encounter. Detectives continued following leads in the case until the identified Ventura and Montes as suspects. While serving search warrants, police seized, “evidence that would indicate drug sales,” from Ventura’s home, Chapman added. Ventura was being held without bail pending his initial court appearance, booking records show. He was free on bail at the time of his arrest, awaiting trial on charges of DUI, DUI by a minor and evading police in a motor vehicle that were first filed in March, according to Los Angeles County Superior Court and booking records. 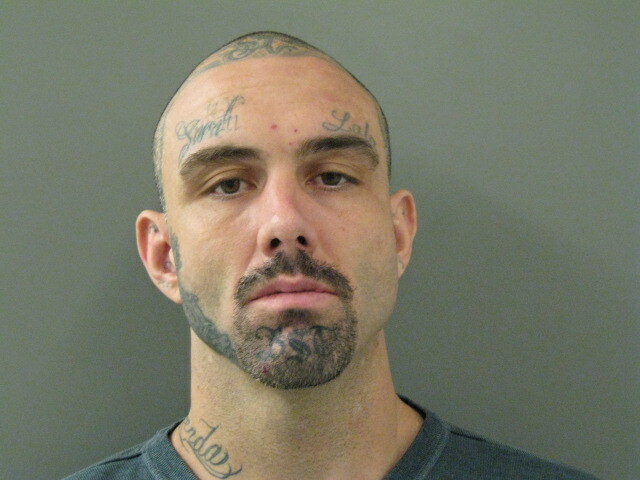 He was previously convicted of possession of drugs for sales in June of last year. Montesdeoca was being held in lieu of $2 million bail, records show. AZUSA >> Police used a less-lethal bean bag shotgun to subdue a man who threatened police while claiming to have a gun at a park in Azusa on Friday, officials said. The incident began just before noon when police received a call from a man who said he was at Zacateca’s Park, 924. W. First Street, Azusa police Cpl. Billy Johnson said in a written statement. The man told police he was armed with a handgun, “and ready to engage with police using his firearm,” the corporal said. The caller described himself to police and told them his position within the park. The man failed to comply with officers’ orders, at which point they shot him with a bean bag round fired by a shotgun, according to Johnson. The man fell to the ground and was taken to a hospital for evaluation. He suffered no serious injuries. No gun was found at the scene, police said.